Instagram-Every Friday my Instagram pictures appear in The Week posts so you might've seen them before. You'll find beauty, cats, food (more often than not Starbucks cups) and pictures of other pretty things. I think Instagram would be tied with Pinterest for my favourite social media tool. Good Reads-Good Reads is pretty self explanatory. You log what books you are reading and can add a star rating+written review when you finish a book. It's great to keep track of what you are reading and also to keep note of books you want to read as well. Side note-I am the slowest reader ever so if you do follow me, don't be surprised if I don't update with a new book for a while. Twitter-Twitter is such a great source to communicate with other bloggers locally and even to tweet bloggers a little further abroad. I share links to my posts and other general banter. I'm sure you all know how Twitter works! Bloglovin-If you're using Bloglovin to follow other blogs that you enjoy already then you can subscribe to my feed as well. 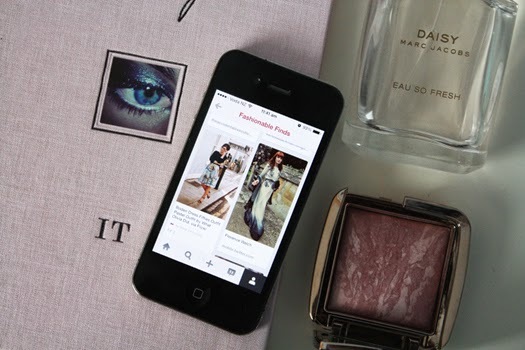 If you go to my Bloglovin as well you can have a look at which blogs I am subscribed to. They're more or less the ones I visit the most. *Sorry for the brief post today guys. I've been quite busy in the lead up to mid-semester break so I've not had much time to blog lately. There'll be some exciting things going up on the blog next week though so do keep an eye out for them! I hope you're all having a fantastic week so far x. Thanks Christel! I'll follow you back on Pinterest too :). So exciting that you are setting up a YouTube channel! Thanks Nina! I'm looking forward to it x.